Party leaders are laying out their strategies for counter-terrorism. Theresa May has announced plans to set up a new counter-terrorism agency, monitor social media and web content for extremism, have stronger custodial sentences for terrorism, and work on integration of communities. Meanwhile Jeremy Corbyn has focused on the problems of British foreign policy, funding for terrorist activities, and the lack of policing resources. These plans are not reflected in their respective party manifestos and do not engage directly with the issue of alienated citizens. 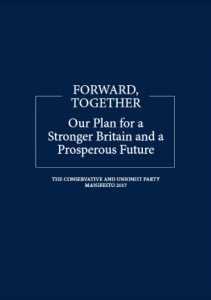 In fact, Prevent, a mainstay of counter-terrorism, is not even mentioned in the Conservative party manifesto, while the Labour manifesto merely mentions a review of Prevent. Both major parties are, however, likely to comprehensively rethink the current Prevent programme in light of the recent attacks. The Liberal Democrats and Green Party have already announced plans to replace Prevent. When such replacement or revision takes place, parties need to consider why minority citizens can become alienated and what British citizenship means to them as part of long term deradicalisation programmes. The controversial Prevent strategy, part of the Government’s wider counter-terrorism strategy, CONTEST, is a cross-party strategy to deal with radicalisation. It originated with Labour and was then carried over to successive governments [House of Commons Debate Library Pack, Number CDP-2017-0036, 31 January 2017, Implementation of the Prevent Strategy, Westminster Hall Debate 1 February 2017]. Through statutory duties, public sector organisations are subject to a duty to prevent people from being drawn into terrorism [Counter-Terrorism and Security Act 2015] by reporting those who may hold extremist views. However, as it primarily relies on institutional reporting of extremism, many civil liberty and community organizations have criticised the statutory duty as surveillance of minority community members by those in a position of power over them (for example Liberty). Minority community members are not one monolithic group of people. They may be migrants living here or citizens who have naturalised here or people who have been born here and lived all their lives here in the UK. What they have in common is that they usually look or sound different from white British citizens. Institutional reporting could be biased against such differences and generate erroneous reports. Similar situations have already been observed in immigration reporting systems. 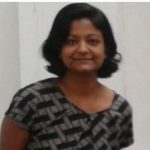 The Joint Council for the Welfare of Immigrants (JCWI) has found this year that when reporting duties were placed on landlords through Right to Rent legislation to report tenants without regular status in the housing sector, there was a spike in discrimination against minority ethnicity tenants. For all the criticisms about Prevent, it correctly identifies radicalisation as the problem rather than the mere presence of minority citizens or migrants in society. It appears to lack, however, any positive mechanisms to support de-radicalisation. In order for it to be effective it needs to look at the positive values of citizenship such as its links to belonging, this being important with some perpetrators of terrorism being British nationals and/or born and brought up in the UK. At present the counter-terrorism measures in place for citizens are only negative ones about stripping citizenship or liberty of suspects. The former head of the British Government’s crisis response committee, Col Richard Kemp, has suggested that internment of suspects is a good idea for enhancing security. Meanwhile, on social media, there is a clamour for cancellation of citizenship of terrorists, and the internment or deportation of potential suspects who are citizens. Anti-terror legislation has already focused on the ratcheting up of cancellation of citizenship statutory powers after each incident of terrorism. Currently, it is possible to cancel someone’s British citizenship and render them stateless without any judicial scrutiny of evidence against them [Section 66 of the Immigration Act 2014, which came into effect on 28 July 2014]. Internment, too, was statutorily permissible in the recent past. After the 7/7 bombings in London, Parliament authorised internment of foreign suspects [Section 23 of the Anti-terrorism, Crime and Security Act 2001] but the Supreme Court disallowed indefinite internment of foreign suspects [A and others v Secretary of State for the Home Department  UKHL 56]. At present, cancellation powers are used sparingly and no one is known to have been rendered stateless using these powers. While they remain unused, the presence of the powers amounts to a threat. There are also pragmatic difficulties with these measures. Deporting a former citizen to any other country which has a connection with them, or is willing to accept them, is a difficult process. It is not clear what would happen to a former citizen if they are rendered stateless inside the UK. Almost all cases of cancellation which have been reported thus far, involve the former citizen being away from the UK when their citizenship was cancelled so that they could not re-enter [See Gower, M, House of Commons, Home Affairs Standard Note, SN/HA/6820, Deprivation of British citizenship and withdrawal of passport facilities, 30 January 2015]. This preempts the thorny issues of deportation and potential statelessness but seems like an evasion of legal process. 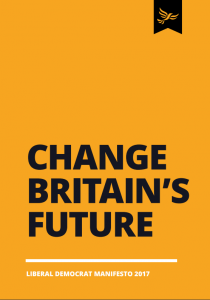 Surprisingly, the manifestos of the major parties for the General Election (Conservative, Labour, Liberal Democrat) say very little about citizenship – the Labour Manifesto only insofar as it refers to EU nationals living in Britain and UK citizens in the EU, and the Conservative Party manifesto mentions citizenship only once (in page 9), “Without the obligations and duties of citizenship, society would not function.” A reference to citizens comes up but only in the context of “Workers’ rights” within the EU. Other than this, however, citizenship is not mentioned at all. 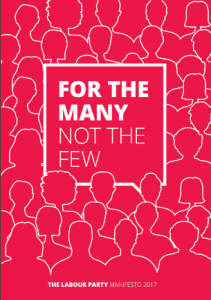 Immigration is mentioned eight times in the Labour manifesto (including the positive contributions of immigration, and strengthening border forces) and 16 times in the Conservative manifesto (each time in terms of better control and cutting numbers). The Liberal Democrats link immigration to reduction in hate crimes as well as positive reinforcement of necessary immigration measures, but again there is silence on any aspect of citizenship. Moreover, the manifestos are silent in relation to internment and use of cancellation of citizenship. Irrespective of who comes to power, greater reflection is required, about the positive content of British citizenship and what it means for minority members of British society to feel “British”. The horrors of Manchester and London have revealed the need to consider different approaches. For example, a different model is available from Denmark and should be seriously considered by any political party that comes into power after the general elections and reviews Prevent. Popularly known as the Aarhus model, this deradicalization programme in Denmark connects Danish citizens who may be at risk of radicalisation, such as returning fighters or radicals who went to fight abroad, to trained mentors from a similar background to themselves. Thus, communities which may be targeted for recruitment become actively involved in the fightback against radicalisation. Community leaders and clerics work in partnership with authorities. There is a recognition that being Danish citizens means belonging to Denmark and being treated as members of Danish society irrespective of other connections to places of conflict. Radicalisation is treated as a disease in Denmark and treatment is offered in terms of psychological counselling. The approach here is to look at people’s life course and identify trigger factors that lead to extremist behaviour rather than just eliminating them by deportation or internment. It is time to borrow some ideas from Denmark and the Aarhus programme for more creative approaches to counter-terrorism. It is time to make citizenship about life-affirming values. This entry was posted in Security, conflict and justice, Uncategorized and tagged Aarhus model, anti-terrorism, British Citizenship, citizenship, counter-terrorism, Counter-Terrorism and Security Act 2015, GE2017, Manifesto by policybristol. Bookmark the permalink.